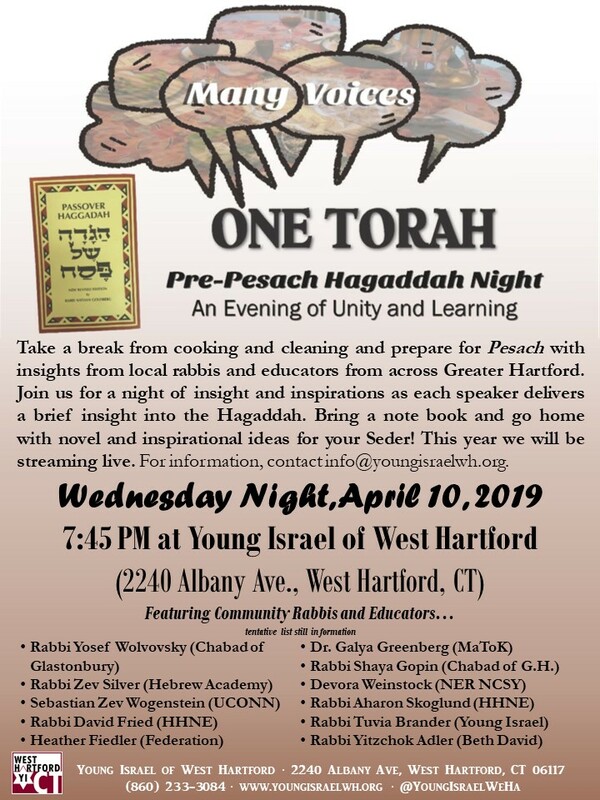 Take a break from cooking and cleaning and prepare for Pesach with insights from local rabbis and educators from across Greater Hartford. Join us for a night of insight and inspirations as each speaker delivers a brief insight into the Hagaddah. Bring a note book and go home with novel and inspirational ideas for your Seder! This year we will be streaming live. For information, contact info@youngisraelwh.org.